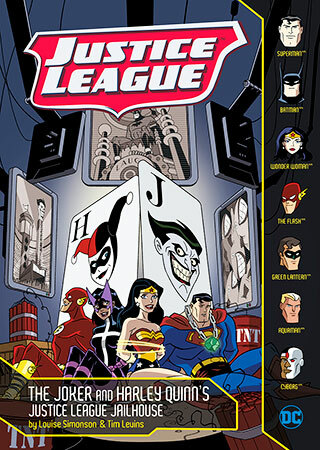 Justice League: The Joker and Harley Quinn's Justice League Jailhouse, Louise Simonson, 9781496559876 at Carnival Book Shop Carnival Book Shop Kids Choice Childrens Bookstore, Best Books at discounted prices delivered direct to you. Carnival Book Shop Kids Choice here and save! With the help of a nefarious billionaire, the Joker and Harley Quinn hatch a plan to lock up the Justice League for good. First they’ll kidnap The Flash and Huntress. Then they’ll lure the Justice League’s most powerful members — including Batman, Superman, and Wonder Woman — into a trap beneath Arkham Asylum. Can the world’s greatest team of super heroes thwart the Joker and Harley before it’s too late? Or will this perilous pair doom them forever in a Justice League jailhouse?